Friday’s Fresh Five! (4/12/13) | What about this? 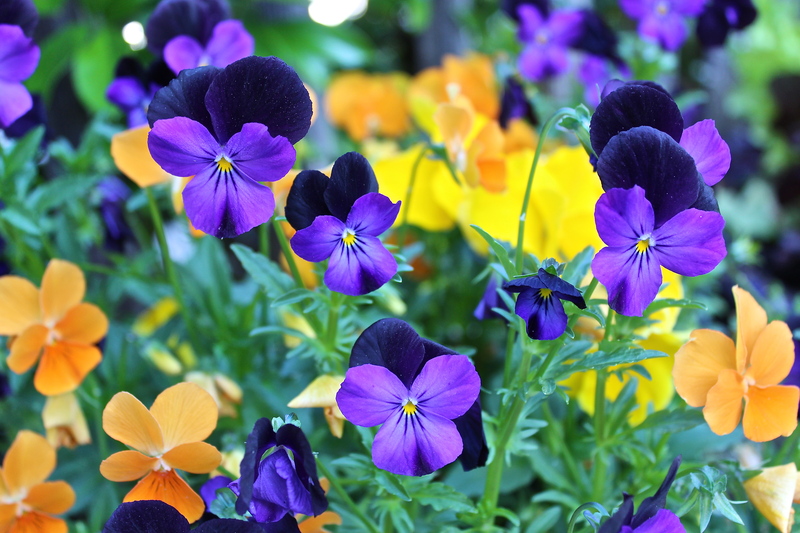 Although small in stature, purple violas dominate a bed of flowers. Their deep rich colors and delicate yellow centers beg for attention and ask you to take notice. Do you stop to appreciate them or do you walk on by? Do you take their beauty for granted? Do you take the colors you see for granted? Wake up your senses and adjust your attitude. Be grateful for the beauty around you. There’s no doubt that color adds joy to our lives. Imagine how depressing it would be to live in a world devoid of color. This Psychology of Color infograph points out their different meanings and how they affect our lives. 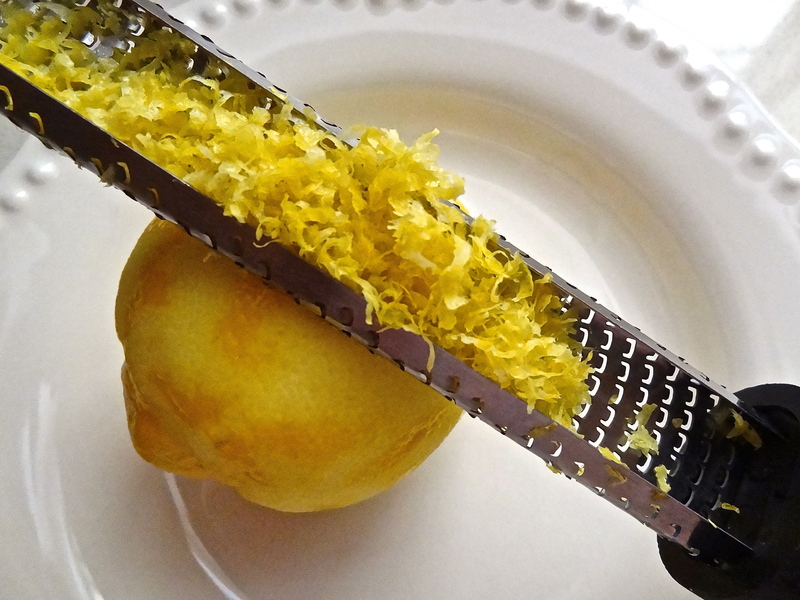 Lemon zest adds bits of color and flavor to food. For recipes that call for any type of citrus zest, try using this method. Hold the microplane upside down while you lightly run it across the peel. This method catches the zest – which makes collecting it much easier than scraping it out of a bowl. If what goes around, truly comes around, then we all need to spread more kindness in the world. Be inspired to perform random acts of kindness today by reading 101 Ideas For Random Acts of Kindness. 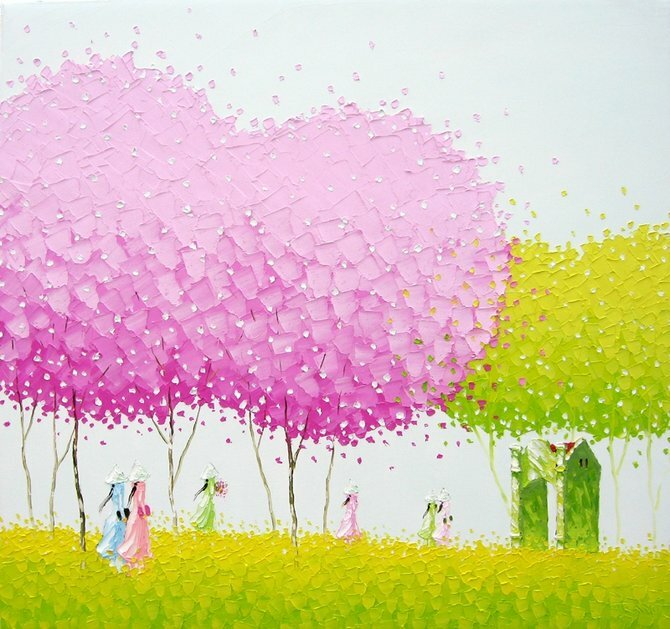 Artist Phan Thu Trang “always tries to use color and light to create different sensation for each piece of art.” Through her colorful and seemingly simplistic artwork, she tries to describe how she feels about everyday scenes in her native Vietnam, rather than just documenting what she sees. Check out this site to see more of her artwork. This weekend, admire and be grateful for all the color in your world!